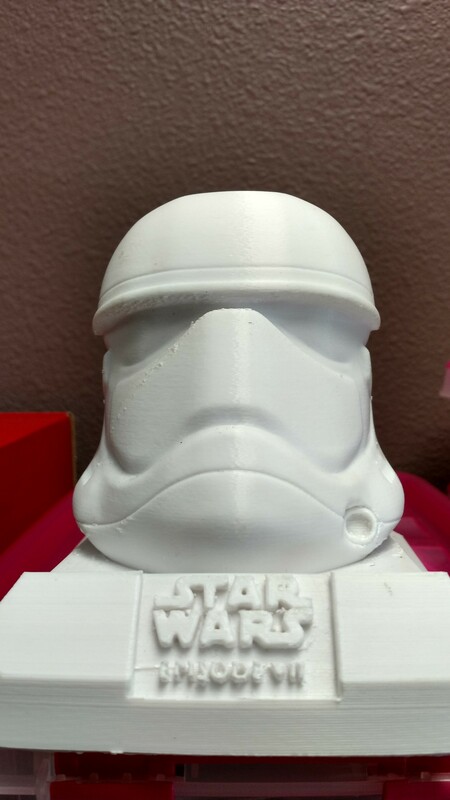 The Benbrook Public Library has three 3-D Printers. We have a variety of filaments and colors for your needs. We do not accept print jobs via email or online, you must come into the library and we will show you how to print your job. Your job needs to be in a STL format. 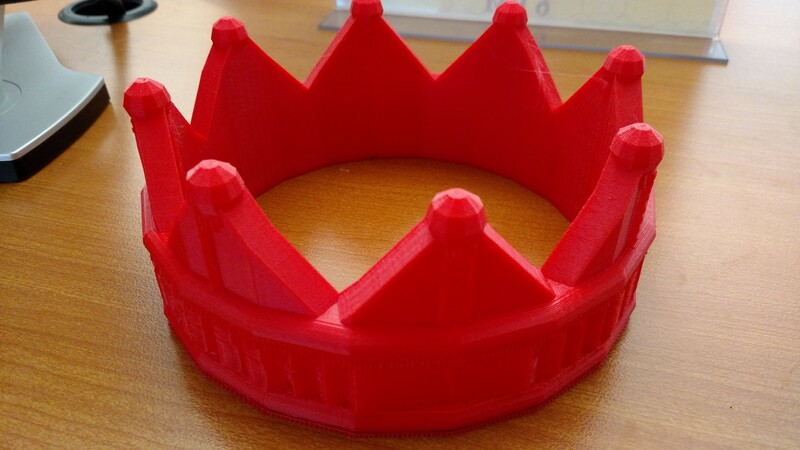 3D printing is the process of creating three dimensional objects from a digital file. 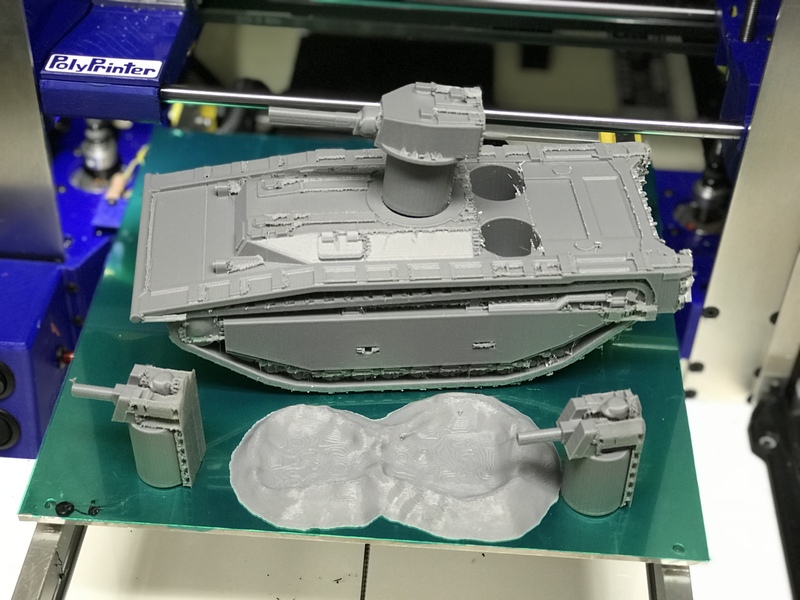 Objects are printed on a specialized printer using a heating element to melt plastic filament and lay down the many tiny layers of the 3D object. 1. 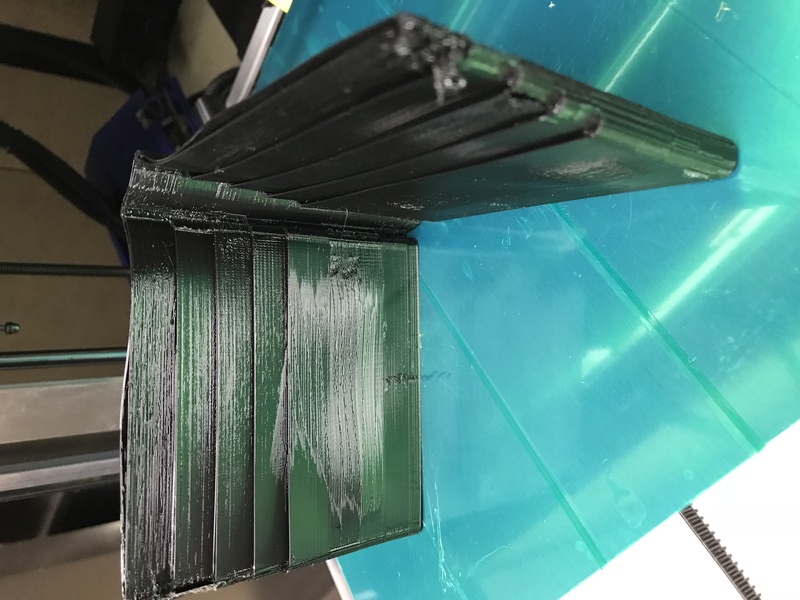 Bring in your file, or find a file you want to print on Thingiverse. The file needs to be in STL format. 2. Upload the .stl file to the KISSLICER program in our computer. This program takes the object and 'slices' it into individual layers for the printer to read. 3. 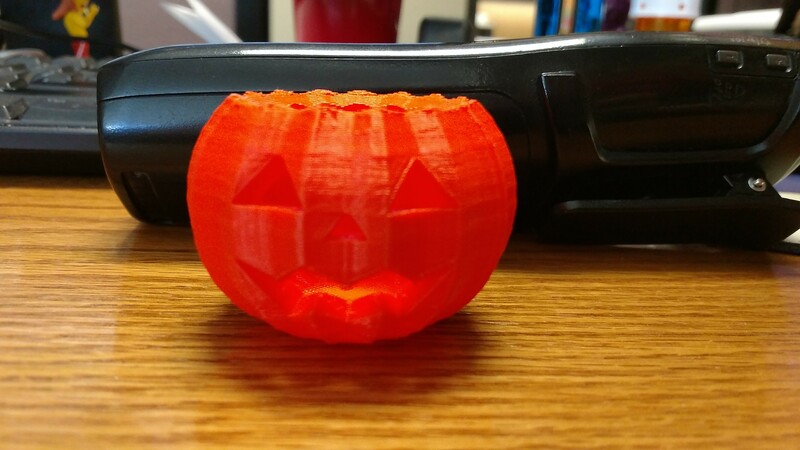 Save the sliced image as a .gcode. This is the file format the printer will be able to read. 4. Upload the .gcode file into Pronterface program. 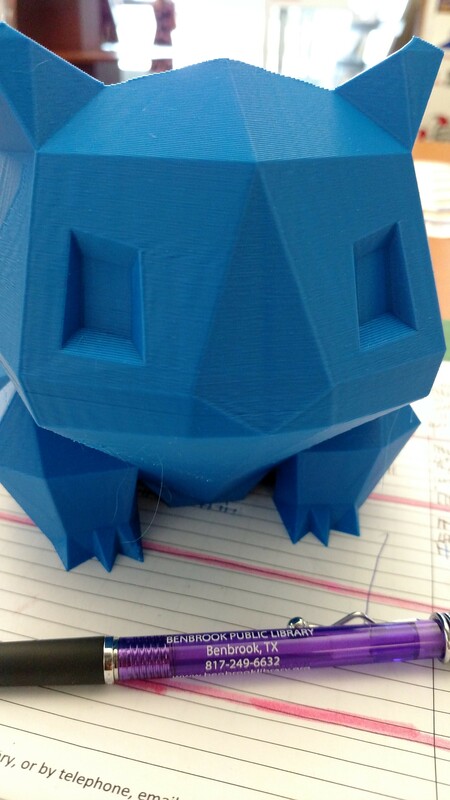 You will need to make sure the bed is at the correct temperature for the filament, and then hit print. 5. Depending on the size of the object, it can take anywhere from 1-6 hours, with larger jobs taking longer. If all three printers are being used at the same time, we have a queue that you can add your name to and a staff member will try to get to your job when a printer becomes available.